Reception begins at 6 p.m. Program begins at 7 p.m.
Join us for a special tribute to Paul Clipson who passed away on February 3, 2018 at 52. He was a beloved colleague and friend to many at SFMOMA, where he worked as the lead projectionist and AV manager for many years. An experimental filmmaker recognized nationally and internationally, he collaborated with scores of musicians throughout the world, and was a powerful voice in California’s film and music scenes. Celebrate the life and work of Paul Clipson with a slide show of illustrated film changeover notes from his book REEL, and a screening of his films and others he curated for the museum. The program includes a special musical performance by Paul’s collaborators and friends, Liz Harris and Joshua Churchill. SFMOMA wishes to thank Paul’s local family Yelena Soboleva and Anya Kamenskaya, and Chris Duncan and Maggie Otero of Land and Sea for their generous support of the program. An experimental filmmaker recognized nationally and internationally, Paul collaborated with scores of musicians throughout the world, and was a powerful presence in California’s film and music scenes. A regular denizen of local cinemas, Paul enjoyed sharing his love for film of all kinds and his knowledge of cinema history was rich and passionate. REEL (2014, published by Land and Sea, Oakland, CA) is a collection of film changeover notes from Paul’s work as a projectionist at SFMOMA. The notes were used to assist part-time museum projectionists and showcased Paul’s immense, yet widely unknown, drawing talent. Introduction to a screening of one of Paul’s short videos by Chris Duncan from Land and Sea, followed by a partial history of Paul’s curated programs at SFMOMA. In a program of shorts, Clipson shared high-art takes on everyday subjects including Alain Resnais’s work that finds lyricism in the industrialized world of plastic. Screens courtesy L’Agence du court métrage. This film studies a collection of takes from advertising footage, but, rather than finding a critical point, discovers unlikely poetry in the most banal of commercial moments. Nagisa Oshima’s subversive Asu no Taiyo, created for the Shochiku studios in a style jarringly unlike the groundbreaking work Oshima would become famous for, describes an opulently colored, widescreen, postwar Japan, with gangsters, singing cowboys, and girls starring in a fake trailer for the kind of film he would never make. Oshima’s short is both a perfect commercial for the “youth market” and an expert parody of one. 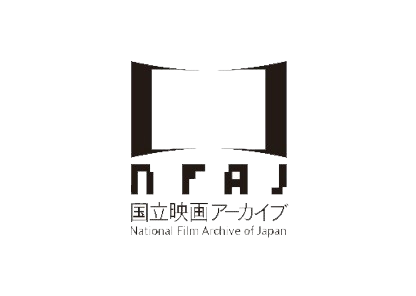 Screens courtesy the National Film Archive of Japan with permission by Shochiku. Total run time: approx. 45 min. These two films are from Paul’s 2017 live performance at Zebulon in Los Angeles, CA. They were not “finished” works; instead they demonstrate his style of improvisation for live shows. Screens courtesy Yelena Soboleva and Anya Kamenskaya. Liz Harris lives and works on the Oregon Coast. She has been recording, performing, and releasing music under the name Grouper since 2005 on various imprints including Kranky and her own YELLOWELECTRIC. She and Paul became friends after being introduced by Jefre Cantu-Ledesma and went on to work and perform together for much of the last decade. They presented various films and live shows, including the 75-minute, 16mm work HYPNOSIS DISPLAY commissioned by Leeds Opera North, and performed in the United States, Canada, Europe, the United Kingdom, and Australia. Joshua Churchill is a San Francisco–based cross-disciplinary artist whose immersive, site-specific sound and light work takes the form of both installation and performance, often blurring the line between the two. Churchill and Paul Clipson first collaborated live in 2007, for a performance in New York as part of the first Mono No Aware cinema arts festival. The continued to collaborate over the years at settings as varied as a country hill top by moonlight, a large masonry dome, and a former military artillery magazine. Churchill also collaborates regularly with filmmaker and musician John Davis, has previously performed in a number of experimental drone/metal projects including Riqis and Tecumseh, and performs solo under the moniker Plumes. Goodbye, Paul, Dan Browne. Originally published in Hors Champ, March 2018; reproduced with permission of Dan Browne. Eye of the Beholder: Paul Clipson (1965–2018), Max Goldberg; originally published in Cinema Scope, no. 74, Spring 2018; reproduced with permission of Max Goldberg and Cinema Scope. Our deep appreciation goes to Paul’s local family Yelena Soboleva and Anya Kamenskaya for their support of the program, and to Chris Duncan and Maggie Otero of Land & Sea for the images from REEL; merci to Stella Lochman for the French live subtitling for Le chant du Styrène; thanks to authors Max Goldberg and Dan Browne for permission to share their writings, to Liz Harris and Joshua Churchill for the beauty of their sounds and spirits, and to our SFMOMA technical crew: Jeffrey Alexander, Zach Iannazzi, Coop, Jeanie Aprille Tang, Jennifer Fieber, and Brecht Andersch. Hospitality provided by Cafe 5. Paul Clipson, we miss you. Rest in Power!